Their findings are outlined in a new study, "Soft Material for Soft Actuators," published today by Nature Communications. "We've been making great strides toward making robots minds, but robot bodies are still primitive," said Hod Lipson. "This is a big piece of the puzzle and, like biology, the new actuator can be shaped and reshaped a thousand ways. We've overcome one of the final barriers to making lifelike robots." Inspired by living organisms, soft material robotics hold great promise for areas where robots need to contact and interact with humans, such as manufacturing and healthcare. 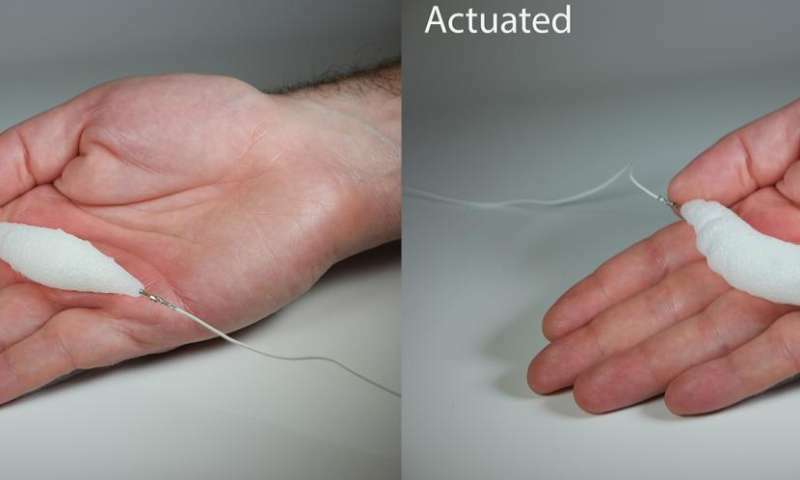 Unlike rigid robots, soft robots can replicate natural motion - grasping and manipulation - to provide medical and other types of assistance, perform delicate tasks, or pick up soft objects. To achieve an actuator with high strain and high stress coupled with low density, the lead author of the study Aslan Miriyev, a postdoctoral researcher in the Creative Machines lab, used a silicone rubber matrix with ethanol distributed throughout in micro-bubbles. The solution combined the elastic properties and extreme volume change attributes of other material systems while also being easy to fabricate, low cost, and made of environmentally safe materials. "Our soft functional material may serve as robust soft muscle, possibly revolutionizing the way that soft robotic solutions are engineered today," said Miriyev. "It can push, pull, bend, twist, and lift weight. It's the closest artificial material equivalent we have to a natural muscle." 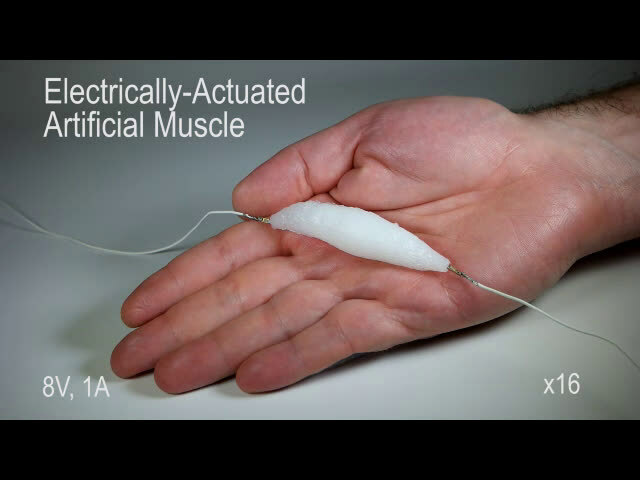 The researchers will continue to build on this development, incorporating conductive materials to replace the embedded wire, accelerating the muscle's response time and increasing its shelf life. 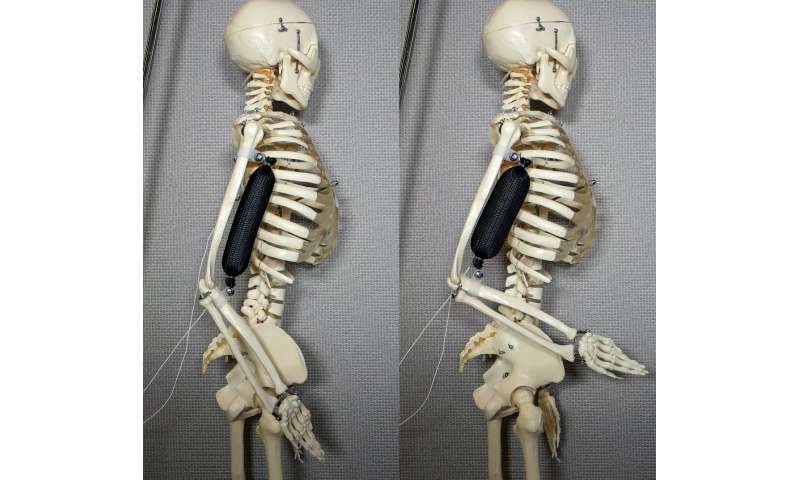 Long-term, they will involve artificial intelligence to learn to control the muscle, which may be a last milestone towards replicating natural motion.